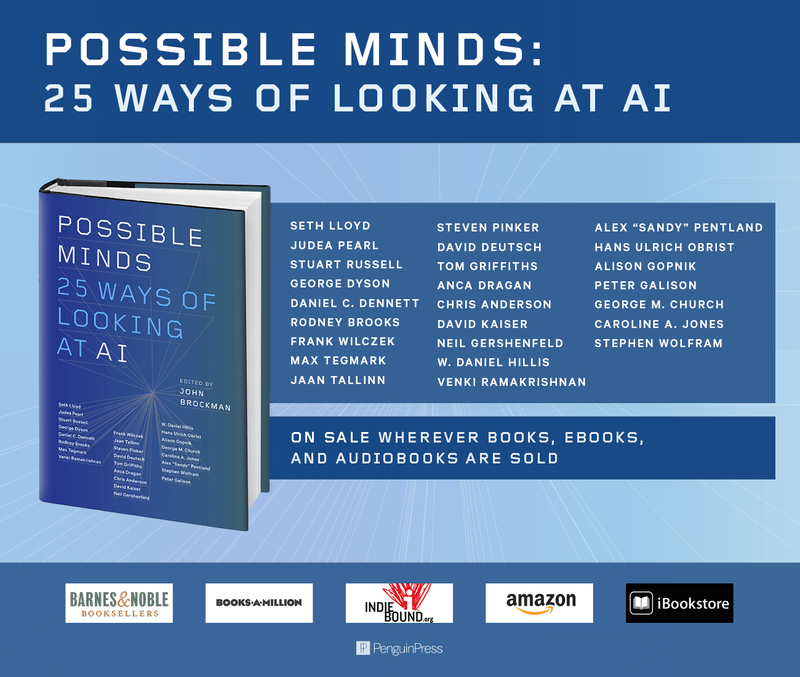 A new book called “Possible Minds: 25 Ways of Looking at AI,” edited by John Brockman, includes a range of big-picture essays about what AI can do and what it might mean for the future. The authors include people who are working in the trenches of computer science, like Anca Dragan, who designs new kinds of AI-directed robots, and Rodney Brooks, who invented the Roomba, a robot vacuum cleaner. But it also includes philosophers like Daniel Dennett, psychologists like Steven Pinker and even art experts like the famous curator Hans Ulrich Obrist. How will AI change our lives? Experts can’t agree — and that could be a problem. Artificial intelligence is playing strategy games, writing news articles, folding proteins, and teaching grandmasters new moves in Go. Some experts warn that as we make our systems more powerful, we’ll risk unprecedented dangers. Others argue that that day is centuries away, and predictions about it today are ridiculous. The American public, when surveyed, is nervous about automation, data privacy, and “critical AI system failures” that could end up killing people. How do you grapple with a topic like that? Two new books both take a similar approach. 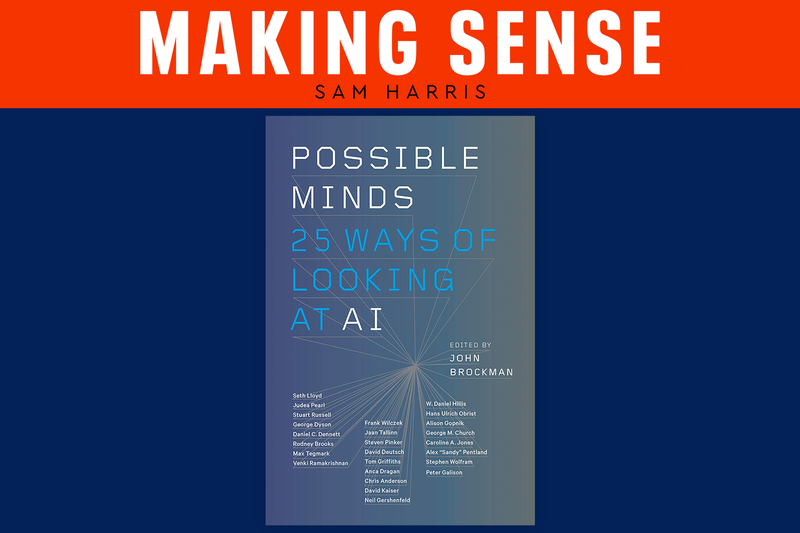 Possible Minds, edited by John Brockman and published last week by Penguin Press, asks 25 important thinkers — including Max Tegmark, Jaan Tallinn, Steven Pinker, and Stuart Russell — to each contribute a short essay on “ways of looking” at AI. 'Possible Minds' : Will humans matter in an age of sentient machines? ...[T]here’s a lot to worry about — and get excited about and just mull — in “Possible Minds,” a collection of essays by thinkers on the cutting edge of technology and culture, edited by John Brockman, who has chronicled that world at Edge.org since 1996. Mr. Brockman asks the 25 essayists to riff off a 1950 book, “The Human Use of Human Beings,” by pioneering tech thinker Norbert Wiener. That tome took a dim view of AI’s implications, warning that “The hour is very late, and the choice of good and evil knocks at our door.” Today’s essayists take a range of positions on whether that choice is still at hand, or has already been made, and if so, which option we’ve picked. Is the Black Future Really Looking Forward? Can Technology Threaten Democracy? What are the real risk factors of war? Are we really losing the skill of manual skills or the new darkness? These questions and many others will answer today's leading scientists and thinkers in the fascinating book titled What Should We Be Worried About? Brockman has managed to bring together a marvelous publication that gives an overview of what we can fear, or what we can learn from. Rather than claiming a patent on the truth, it is in the spirit of the objective message of science. At the very least, it is fascinating to read about things that disturb leading scientists and thinkers. To ring in the New Year in the most depressing and hope-crushing way possible, Dyson sat down with Edge.org. George Dyson: After the digital revolution, the wheel continues to turn. But who is in control? That's what we mean by understanding how our digitized world works. But the science historian George Dyson continues to look and looks for the digital to raise an analogous revolution. And that, he warns, could take the book out of his hands. NOTE: if you use a spam-filter that uses a challenge/response or authenticated e-mail address system, you must include "[email protected]" on your list of approved senders or you will not receive our e-mail.